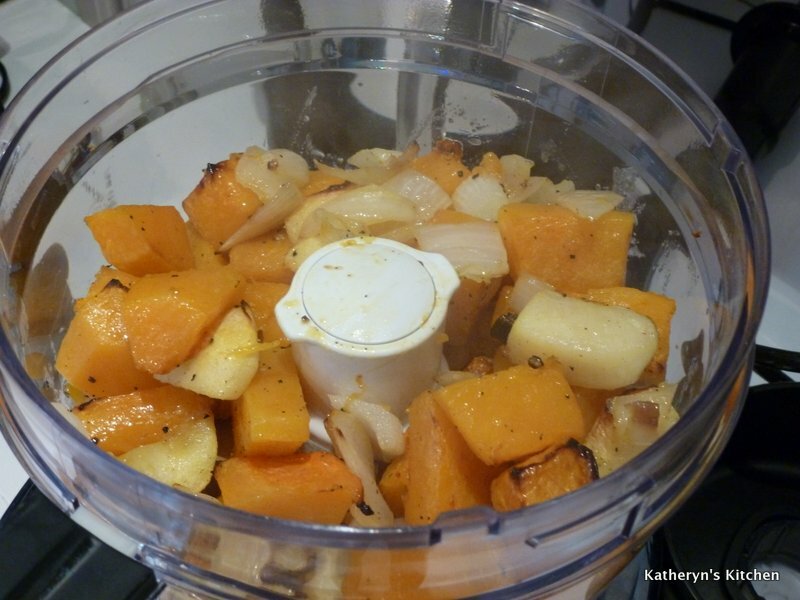 1- whole 3 to 4 pound butternut squash, peeled and seeded. 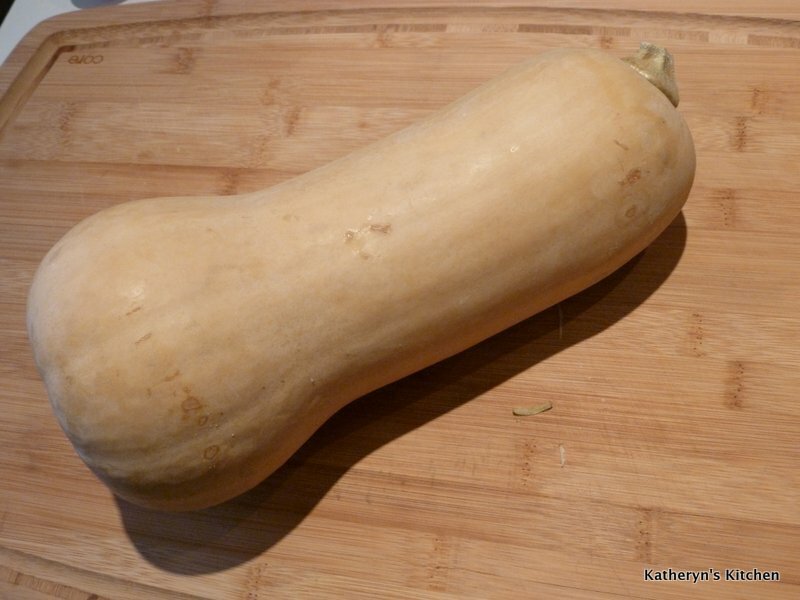 I have also found butternut squash already peeled and cubed in plastic bags or plastic containers in the produce section, which is really convenient. 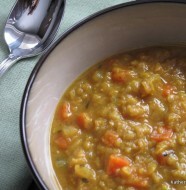 One whole bag or container is the perfect amount for this recipe, about 4 cups. 2 apples, peeled* and cored- I am using honey crisp apples because that’s what I have on hand- the type of apple doesn’t matter much to me. 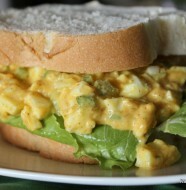 1-2 teaspoons good curry powder or madras curry paste. I think green or red thai curry paste would also be very flavorful. *Peeling the apples is optional. 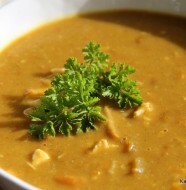 I have made the soup with unpeeled apples and tastes just as delicious but with more fibre. 1. 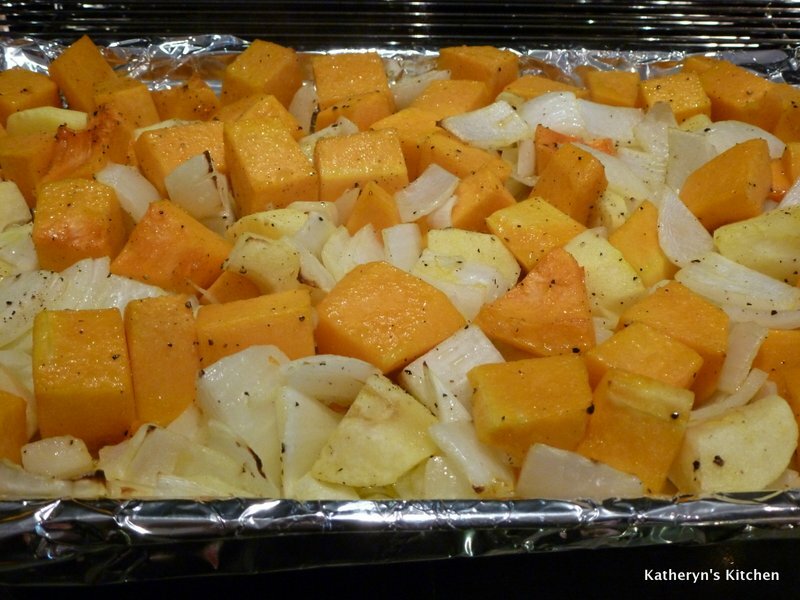 Preheat the oven to 400 degrees F. Cut the butternut squash, onions and apples in 1-inch cubes. Place them on a baking sheet and toss with the olive oil, 1 teaspoon salt and 1/2 teaspoon pepper. 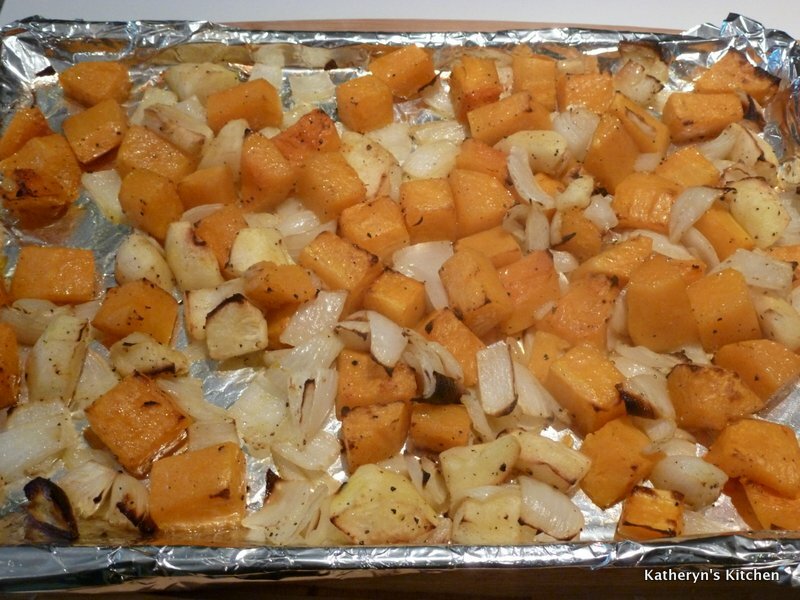 Divide the squash mixture between 2 sheet pans and spread it in a single layer. Roast for 35 to 45 minutes, until very tender and has some color, the onions will start browning first. 2. 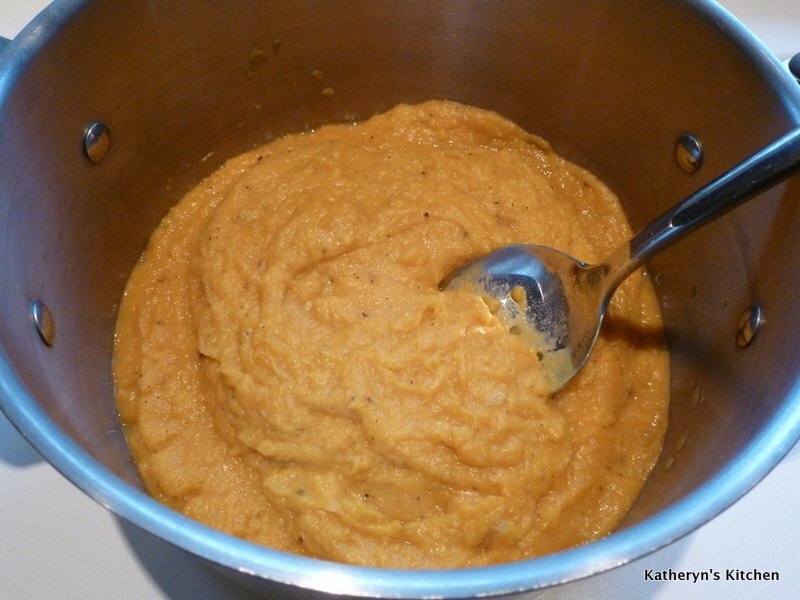 When the vegetables and apples are finished roasting, place them in batches into your food processor with a little of the vegetable stock and coarsely puree. 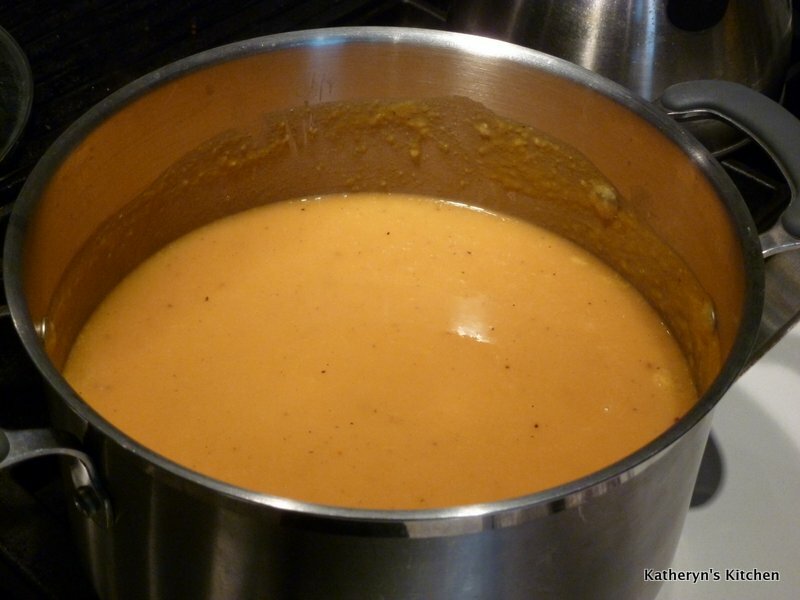 When all of the vegetables and apples are processed, place them in a large pot and add enough vegetable stock to make a thick soup. Add the curry powder, 1 teaspoon salt, 1/2 teaspoon pepper and sugar, honey or agave for sweetness. Taste to check for seasoning. 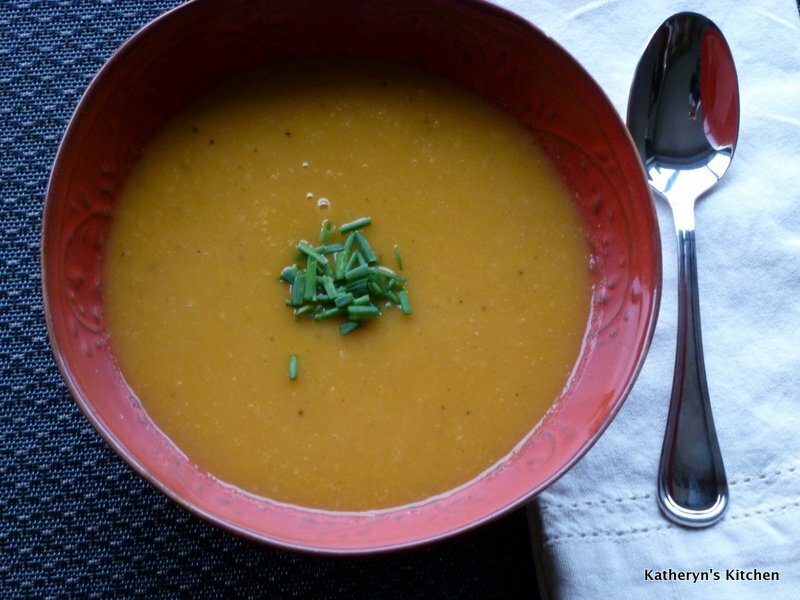 Bring to a simmer and serve hot with sliced green onion or chives.